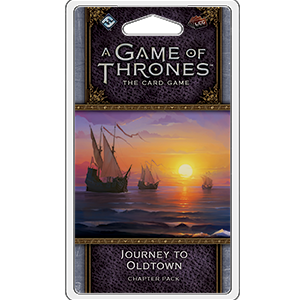 Journey to Oldtown, like The Archmaester’s Key before it, focuses on amplifying the major themes of the game’s fourth cycle. While it continues to follow A Feast for Crows, this cycle brings new strength to the bestow keyword and provides incentives for the factions to forge alliances and band together. Along the way, you’ll encounter a host of iconic characters and locations entering the game, including The House of Black and White, Thoros of Myr, a new version of Arianne Martell, and a lord of House Botley, Tris Botley.